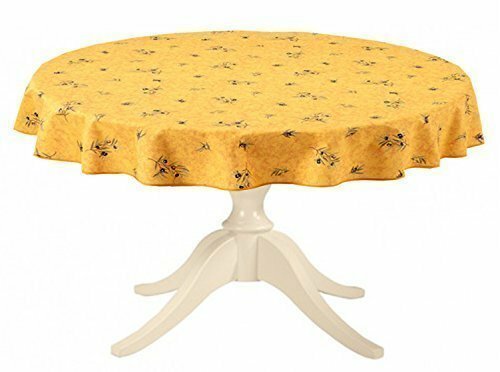 From Le Cluny French Country Collection, this coated tablecloth will transport your table to Provence. It features olives and mimosas on a yellow background. It is 100% cotton coated with acrylic to make it stain resistant and long lasting. Spills will not go through, protecting your table. Cleanup is as easy as wiping it with a sponge. UV resistant, they will not fade and are perfect inside or outside. 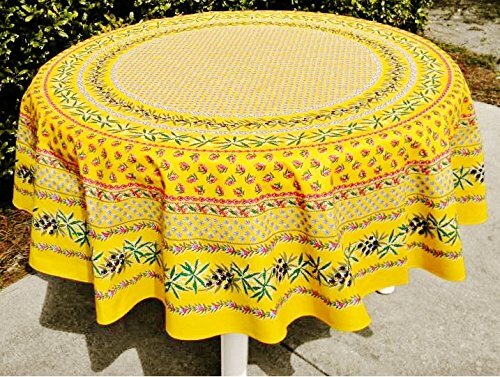 This tablecloth measures 68" in diameter, it will fit most round tables up to about 52 inches in diameter. See other listings for rectangular and square versions of this tablecloth, napkins and placemats. This is an authentic, top quality, woven Jacquard French tablecloth, imported from Provence in southern France. In a Jacquard tablecloth the pattern is woven directly into the fabric. 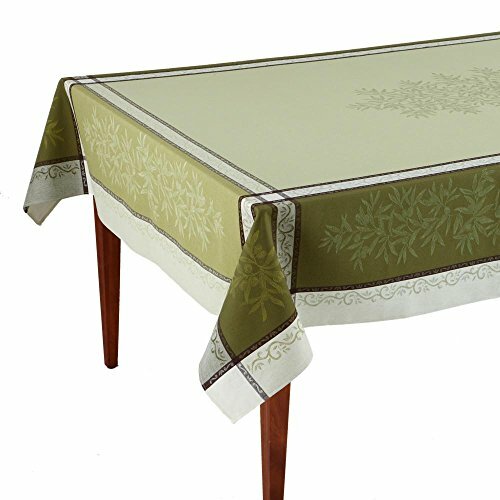 This tablecloth has a soft, luxurious "hand", and will drape elegantly over any table. 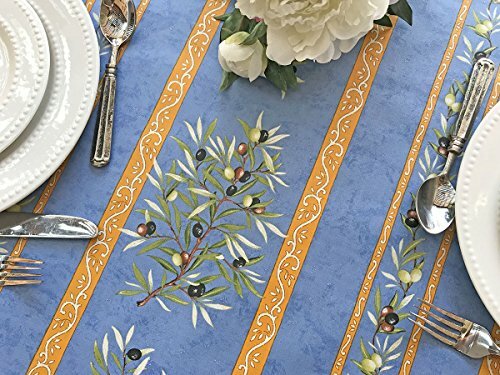 This gorgeous tablecloth reminds us of the ancient linkage between olives and Provence, with a design theme that features olive branches with leaves and fruit. Colors include warm yet vibrant reds and yellows with highlights of violet, pink and burgundy in a range of hues and intensities. Matching napkins available. 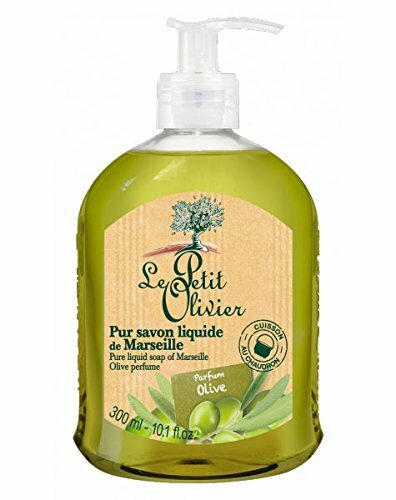 Senteurs Le Petit Olivier Olive Oil Soap 10.14 Fl. Oz. From France. Senteurs Provençales gels are made using carefully selected 100 % pure natural ingredients to offer you a pleasant sensation of mildness and well-being. Fragrant French provincial olive oil scent. Extra gentle on most sensitive of skin. Use in the bath, shower or kitchen on body & hands. Pump format. This is an authentic, top quality, woven Jacquard French tablecloth, imported from Provence in southern France. In a Jacquard tablecloth the pattern is woven directly into the fabric. 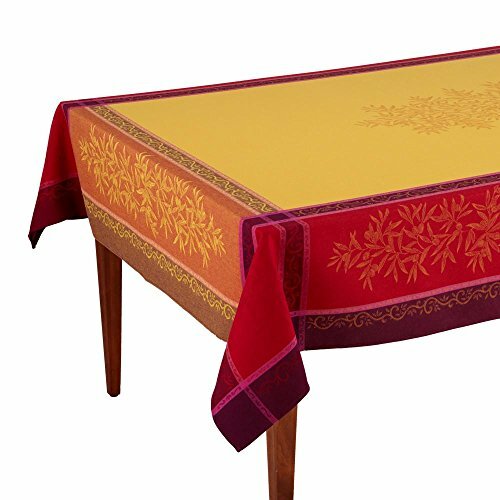 This tablecloth has a soft, luxurious "hand", and will drape elegantly over any table. 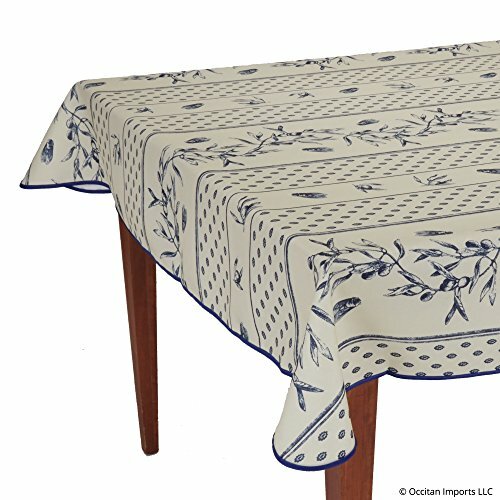 This gorgeous tablecloth reminds us of the ancient linkage between olives and Provence, with a design theme that features olive branches with leaves and fruit. Colors include rich, warm shades of red and beige with taupe and burgundy highlights. Matching napkins available. This is an authentic, top quality, woven Jacquard French tablecloth, imported from Provence in southern France. In a Jacquard tablecloth the pattern is woven directly into the fabric. This tablecloth has a soft, luxurious "hand", and will drape elegantly over any table. This gorgeous tablecloth reminds us of the ancient linkage between olives and Provence, with a design theme that features olive branches with leaves and fruit. Colors include shades of green with ivory and gray highlights. Matching napkins available. Chateau's White Garlic Marinade is our most popular product on meat and seafood counters. This hearty garlic marinade brings the flavors of Provence and the South of France to the table. Chateau White Garlic Marinade stays on the meat, where it belongs. The rich, white texture, and that wonderful unmistakable flavor of garlic, olive oil, bell pepper, and spices adds up to repeat uses for this unique and delicious marinade. Use this marinade on chicken and seafood. Ideal for pre-marinating meat, and wonderful to use at home. Marinade chicken or fish 15 minutes prior to cooking, or overnight in the fridge. Really great garlic flavor! All Natural, 12 oz. This is a stain-resistant, easy care (machine washable, no-iron) rectangular tablecloth. 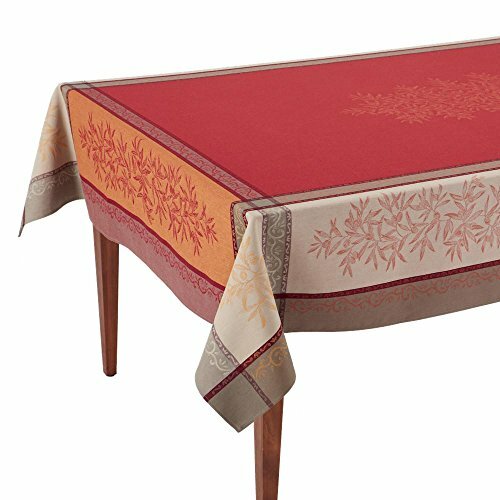 The design of this lovely tablecloth features a classic French Provincial cigale (cicada) and olive branch and fruit theme. This tablecloth is made of polyester. It has rounded corners and finished (bound) edges. Designed in France, made in China. 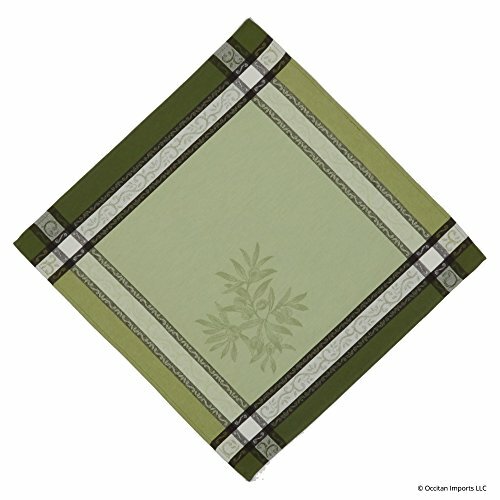 This is an authentic, top quality, Jacquard-woven French table napkin, imported from Provence in southern France. In a Jacquard napkin the pattern is woven directly into the fabric. This napkin matches our Olive VertÂ tablecloths. ItÂ is made of pure cotton and measures approximately 20" x 20". Copyright © Wholesalion.com 2019 - The Best Prices On French Provincial Olive Online.